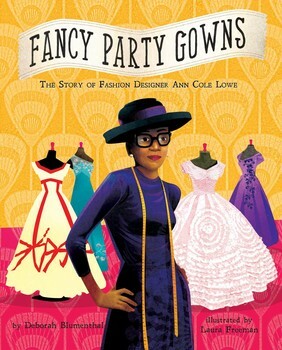 Candace M. is the winner of the Fancy Party Gowns giveaway for Black History Month. I cannot reach you, Candace, so if you see this post, please contact me at gail@gailgauthier.com by this Saturday, March 4. If I don't hear from you, we'll pick another winner. Though, oddly enough, almost everyone who commented didn't leave a trail to a contact method. This could take some time. 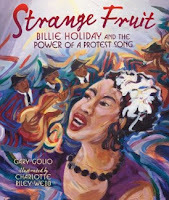 I have three more nonfiction picture book giveaways coming up. March. I have another copy of Fancy Party Gowns by Deborah Blumenthal with illustrations by Laura Freeman, which I'll give away this month for Women's History Month. I'll do a women's history related blog post that interested parties can comment to for a chance to win. On the last day of the month, I'll pick a random winner. April. In April I'll be giving away Stand Up and Sing! 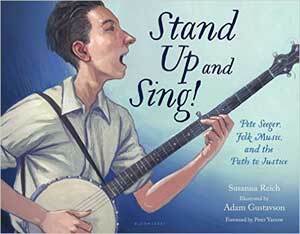 Pete Seeger, Folk Music, and the Path to Justice by Susanna Reich with illustrations by Adam Gustavson. Again, there will be a blog post about the book early in the month and you will have until the last day of April to comment. May. Strange Fruit: Billie Holiday and the Power of a Protest Song by Gary Golio with illustrations by Charlotte Riley-Webb is up in May. You know the routine. There will be a post about the book that readers can comment on. On the last day of the month, the winner will be selected. Since it looks as if some people have commenting set-ups that don't involve a link back to them, be sure to check back early the month after you enter, if you don't hear from me. You may have won.